Gift Shop at National Coal Mining Museum for England01924 848806work Shop - GiftBefore you finish your day at the Museum, make sure you pay a visit to the gift shop and choose from a selection of unique and unusual souvenirs. A wide variety of books are also available to purchase. 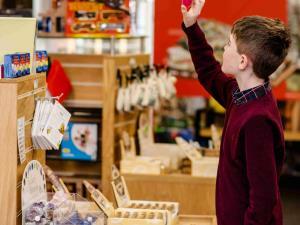 Before you finish your day at the Museum, make sure you pay a visit to the gift shop and choose from a selection of unique and unusual souvenirs. If you are looking for something specific, please contact the Museum direct on 01924 848806 and they will be happy to help.